Watling Street is the name given to an ancient trackway in England and Wales that was first used by the Britons mainly between the areas of modern Canterbury and St Albans using a natural ford near Westminster. 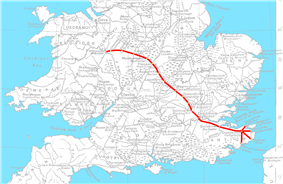 The Romans later paved the route, which then connected the Kentish ports of Dubris (Dover), Rutupiae (Richborough), Lemanis (Lympne), and Regulbium (Reculver) to their bridge over the Thames at Londinium (London). The continuation northwest passed Verulamium (St Albans) on its way to Viroconium (Wroxeter). The Romans considered the continuation on to Blatobulgium (Birrens) beyond Hadrian's Wall to be part of the same route, leading some scholars to call this Watling Street as well, although others restrict it to the southern leg. Watling Street was the site of Boudica's defeat by the Romans and the southwestern border of the Danelaw. 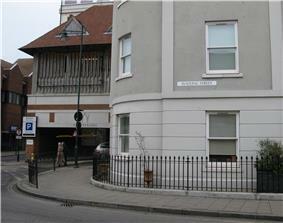 In the early 19th century, the course between London and the sea was paved and became known as the Great Dover Road. Today, the route from Dover to London forms part of the A2 road and the route from London to Wroxeter forms much of the A5 road. The original Celtic and Roman name for the road is unknown and the Romans may not have viewed it as a single path at all, dividing it amongst two separate itineraries in one 2nd-century list. The modern name instead derives from the Old English Wæcelinga Stræt, from a time when "street" (Latin: via strata) referred to any paved road and had no particular association with urban thoroughfares. The Waeclingas ("people of Waecla") were a tribe in the St Albans area in the early medieval period. It is uncertain whether they were considered part of Middlesex or Essex or a British remnant (wæcla being a possible variation of Old English wealhas, "foreigners", which gave the Welsh their English name). 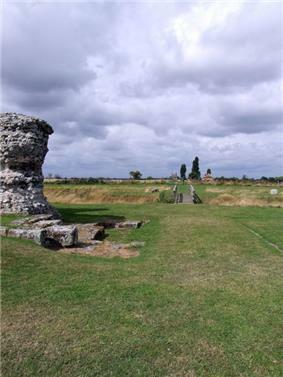 Some site in the middle section of this route was the location of G. Suetonius Paulinus's victory over Boudica's Iceni in AD 61. The first turnpike trust in England was established over Watling Street northwest of London by an Act of Parliament on 4 March 1707 in order to provide a return on the investment required to once more pave the road. The section from Fourne Hill north of Hockliffe to Stony Stratford was paved at a cost of £7000 over the next two years. Revenue was below expectations; in 1709, the trust succeeded in getting a new act extending the term of their monopoly but not permitting their tolls to be increased. In 1711, the trust's debts had not been discharged and the creditors took over receivership of the tolls. In 1716, a new act restored the authority of the trust under the supervision of another group appointed by the Buckinghamshire justices of the peace. The trust failed to receive a further extension of their rights in 1736 and their authority ended at the close of 1738. In 1740, a new act named new trustees to oversee the road, which the residents of Buckinghamshire described as being "ruined". Much of the road is still in use today, apart from a few sections where it has been diverted. The A2 road between Dover and London runs over or parallel to the old path. A section of Watling Street still exists in the City of London close to Mansion House underground station on the route of the original Roman road which traversed the River Thames via the first London Bridge and ran through the City in a straight line from London Bridge to Newgate. The sections of the road in Central London possess a variety of names, including Edgware Road and Maida Vale. At Blackheath, the Roman road ran along Old Dover Road, turning and running through the area of present-day Greenwich Park to a location perhaps a little north of the current Deptford Bridge. The stretch between London and Shrewsbury (continuing to Holyhead) is known as the A5. Through Milton Keynes, the A5 is diverted onto a new dual carriageway; Watling Street proper forms part of the new town's grid system and carries the additional designation V4. The name Watling Street is still used along the ancient road in many places, for instance in Bexleyheath in southeast London and in Canterbury, Gillingham, Strood, Gravesend, and Dartford in Kent. A major road joining the A5 in northwest London is called Watling Avenue. 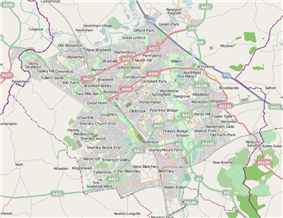 North of London, the name Watling Street still occurs in Hertfordshire (including St Albans), Bedfordshire, Buckinghamshire (including Milton Keynes), Northamptonshire (including Towcester), Leicestershire (Hinckley), Warwickshire (including Nuneaton and Atherstone), Staffordshire (including Cannock, Wall, Tamworth and Lichfield), Shropshire (including in Church Stretton as the residential Watling St North and South), and even Gwynedd in north Wales. Dere Street, the Roman road from Cataractonium (Catterick in Yorkshire) to Corstopitum (now Corbridge, Northumberland) to the Antonine Wall, was also sometimes known as Watling Street. 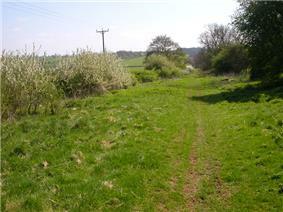 A third Watling Street was the Roman road from Mamucium (Manchester) to Bremetennacum (Ribchester) to Cumbria. Preston, Lancashire, preserved a Watling Street Road between Ribbleton and Fulwood, passing the Sharoe Green Hospital. Both of these may preserve an separate derivation from the wealhasOld English ("foreigner") or may have preserved the memory of the long Roman road while misattributing its upper stages to better-preserved roads. ^ Williamson, Tom (2000). The Origins of Hertfordshire. Manchester: Manchester University Press. p. 64. ^ "Loftie's Historic London (review)". The Saturday Review of Politics, Literature, Science and Art 63 (1,634): 271. 19 February 1887. Retrieved October 2015. ^ "House of Lords Journal". British History Online 18. University of London. Retrieved 3 June 2008. ^ "Bury Metropolitan Council—History". .
Roucoux, O. 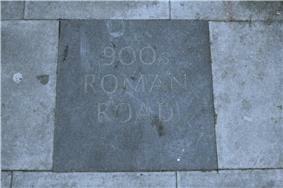 (1984), The Roman Watling Street: from London to High Cross, Dunstable Museum Trust, .